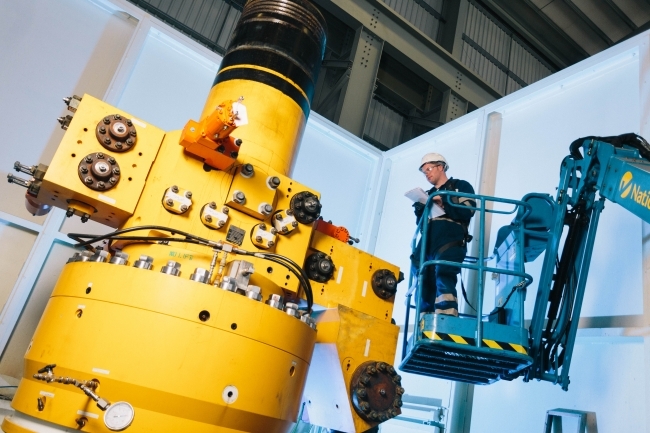 The University of Strathclyde’s Advanced Forming Research Centre (AFRC) and Baker Hughes, a GE company (BHGE), have joined forces to explore how some of the latest advanced manufacturing tools and processes can drive more efficient, smarter ways to reduce cost and increase productivity across BHGE’s operations. Joining the world-renowned research centre as a tier one member, BHGE will work with the AFRC’s team of engineers and researchers to improve its manufacturing processes and delivery of services. Using its expertise and state-of-the-art equipment, the AFRC will help BHGE identify opportunities to cut costs and cycle time, while extending the lifespan of oilfield equipment required for operations in increasingly high temperature and extreme pressure environments. This collaboration will see BHGE have a seat on the AFRC’s managing and technical boards, as well as supporting the centre’s core research programme. Together with the AFRC’s other tier one members, BHGE will help to steer the wider research agenda and share cross sector learnings and best practice. Paul Cantwell, oil and gas knowledge exchange fellow at the AFRC, said: “We are delighted to welcome BHGE as a tier one member, our first from the oil and gas sector, and thrilled to be working with the team on improving the company’s extensive manufacturing processes through the use of our innovative technologies.